Despite its economic importance, relatively little is known about the European lobster and most of what is known comes from its closest relative, the American lobster. The consortium will assess varying factors across the pilot site, looking at environmental effects on lobster status (growth, survival, health, condition and quality) in various container designs and positions within the farm site. Lobster development in relation to abundance/availability of prey species, bio-fouling of containers and position of containers will be assessed using general linear statistical models. These statistical models will demonstrate the reliance of lobster biology on environmental parameters, will help to optimise deployment strategies and predict lobster performance. This predictive tool forms a critical module of the aqua-economic model, allowing the determination of economically viable management and deployment strategies. 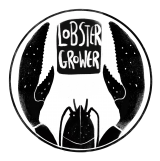 Lobster Grower 2 will also identify suitable mitigation actions to reduce environmental risk and provide customer confidence in the delivery of an ‘environmental-friendly farmed product’. General environmental data will include the generation of physical and chemical data relating to the demonstration sites. This will assess conditions both within and around the SBCC devices. The investigators will assess: hydrodynamic properties and patterns including water movement (tidal, wave); water chemistry (temperature, pH, salinity, DO, TOC, organic by products and a suite of organic and inorganic properties) at varying depths, as well as the production of biological waste. For information on the citizen science project ‘Understanding the natural environment of St Austell Bay’ run by Natural England and the National Lobster Hatchery, click here.